"What's for dinner?" seemed like a simple question—until journalist and supermarket detective Michael Pollan delved behind the scenes. From fast food and big organic to small farms and old-fashioned hunting and gathering, this young readers' adaptation of Pollan's famous food-chain exploration encourages kids to consider the personal and global health implications of their food choices. 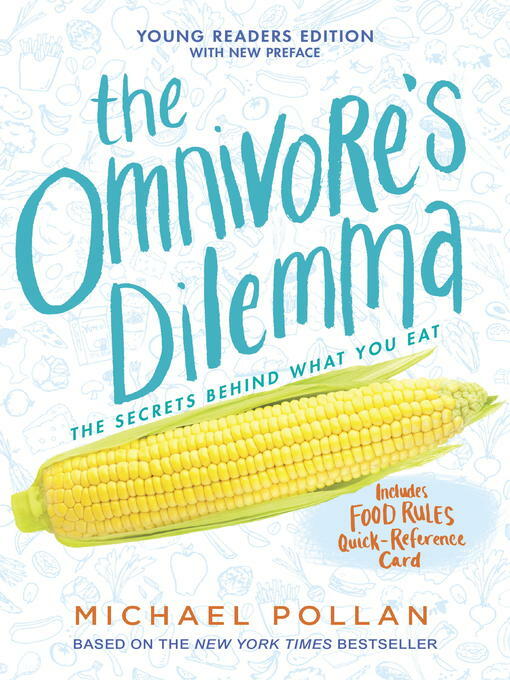 In a smart, compelling format with updated facts, plenty of photos, graphs, and visuals, as well as a new afterword and backmatter, The Omnivore's Dilemma serves up a bold message to the generation that needs it most: It's time to take charge of our national eating habits—and it starts with you.